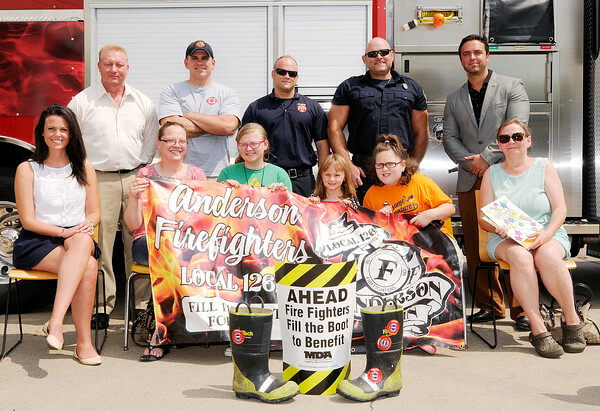 Helping AFD kick off their fill the boot campaign, which starts Thursday, seated from left are Kelsey Buettner from MDA, Sheila Morgan, Mary Morgan, Emma Banks, Macey Banks and Joan Banks. The department has been holding the benefit for 60 years now. Representing AFD standing from left are Dave Cravens, Matt Cole, Kyle Amos, Joey Key and Cody Leever.